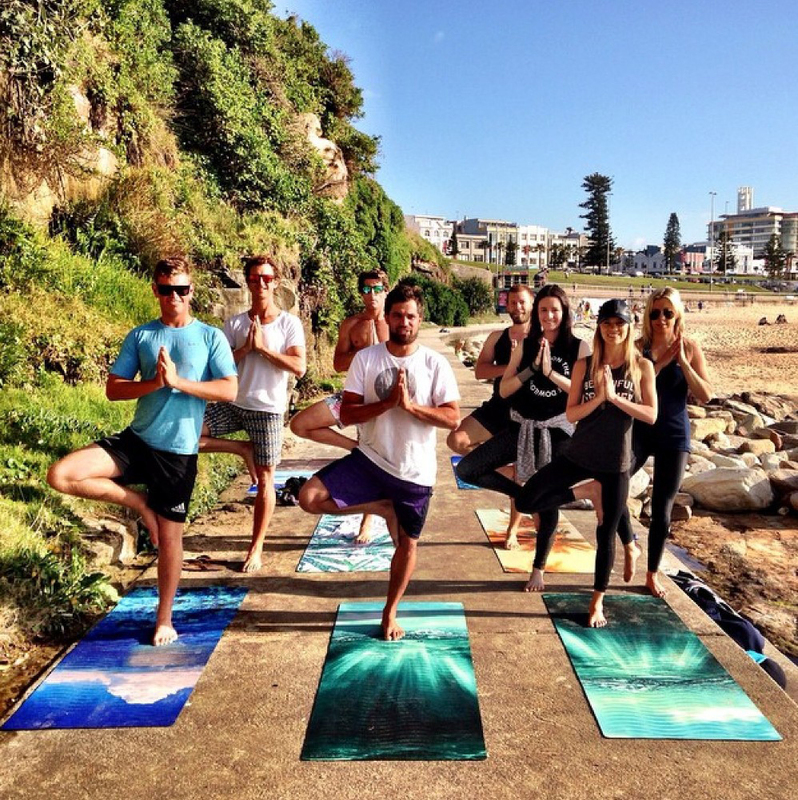 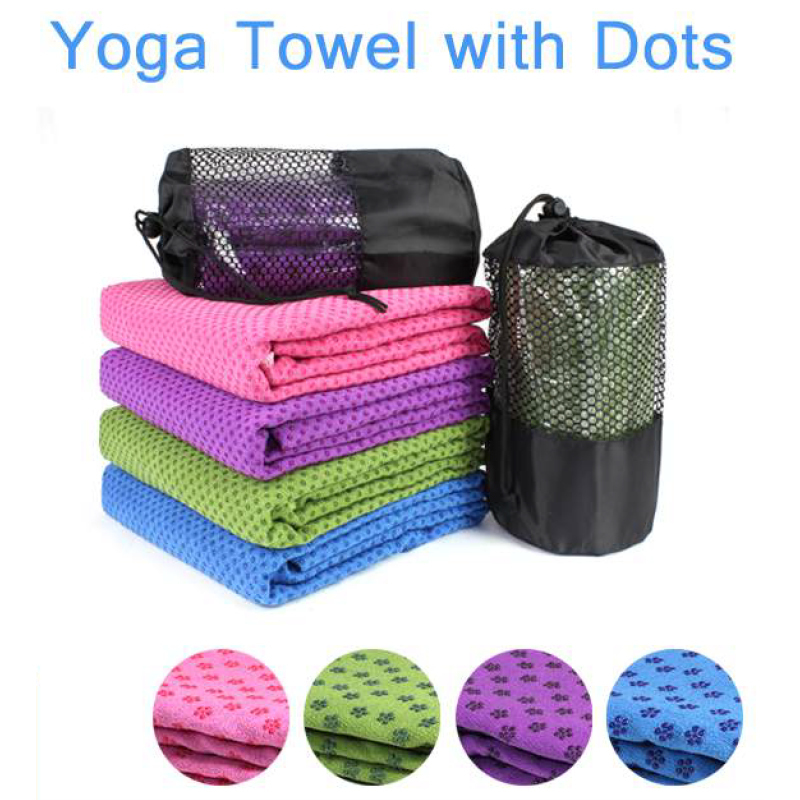 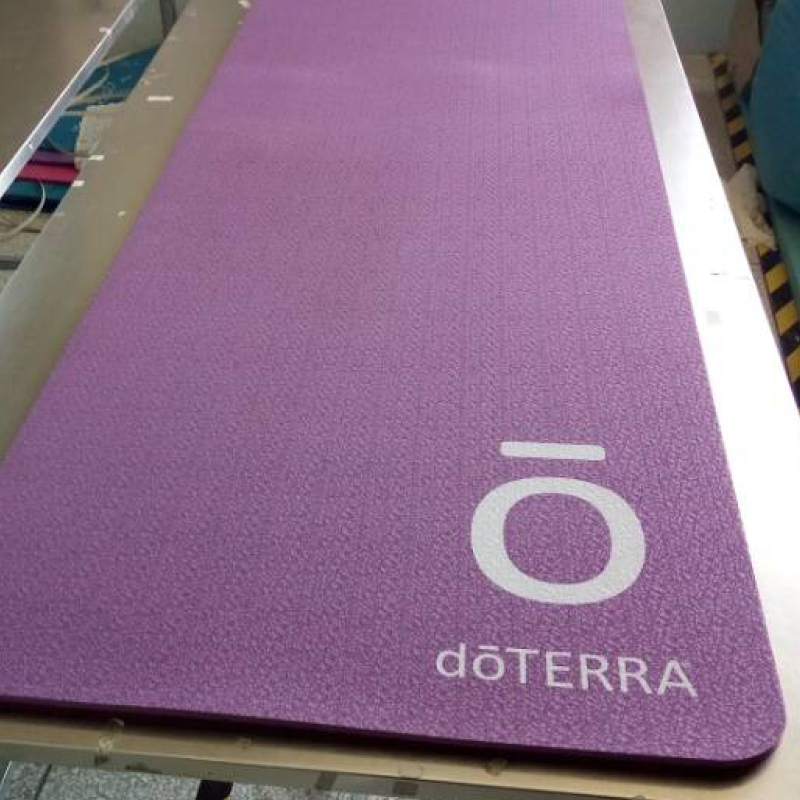 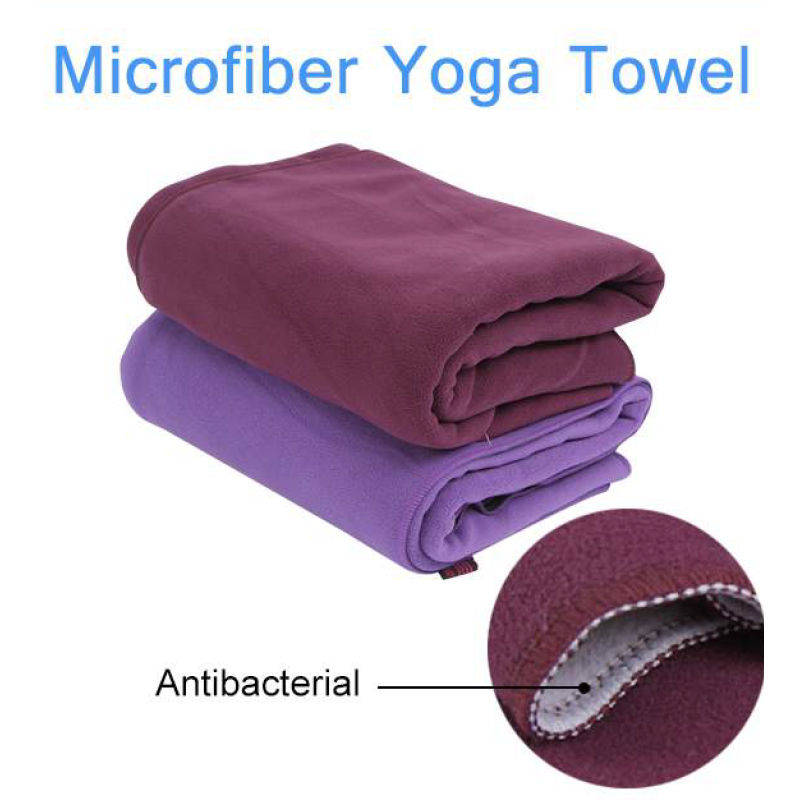 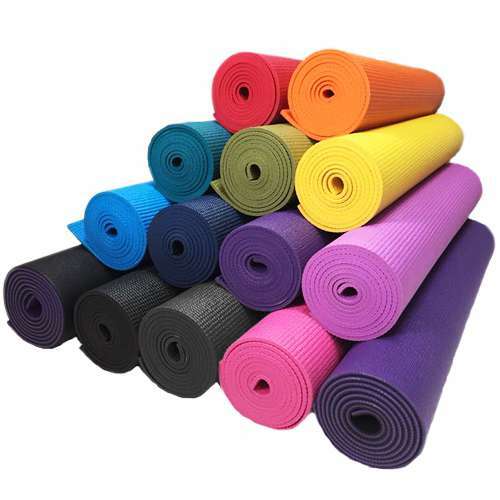 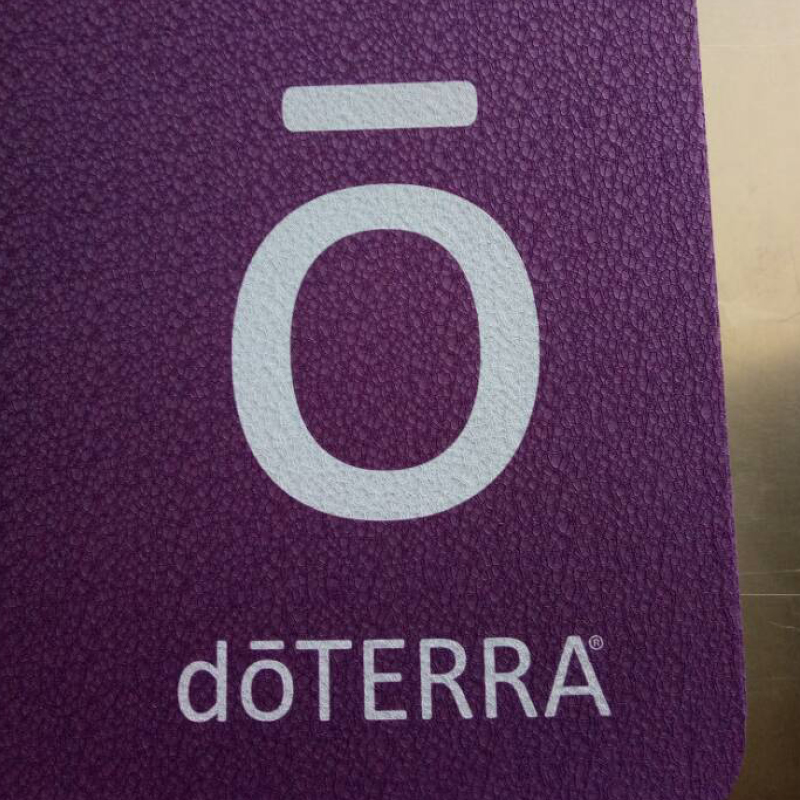 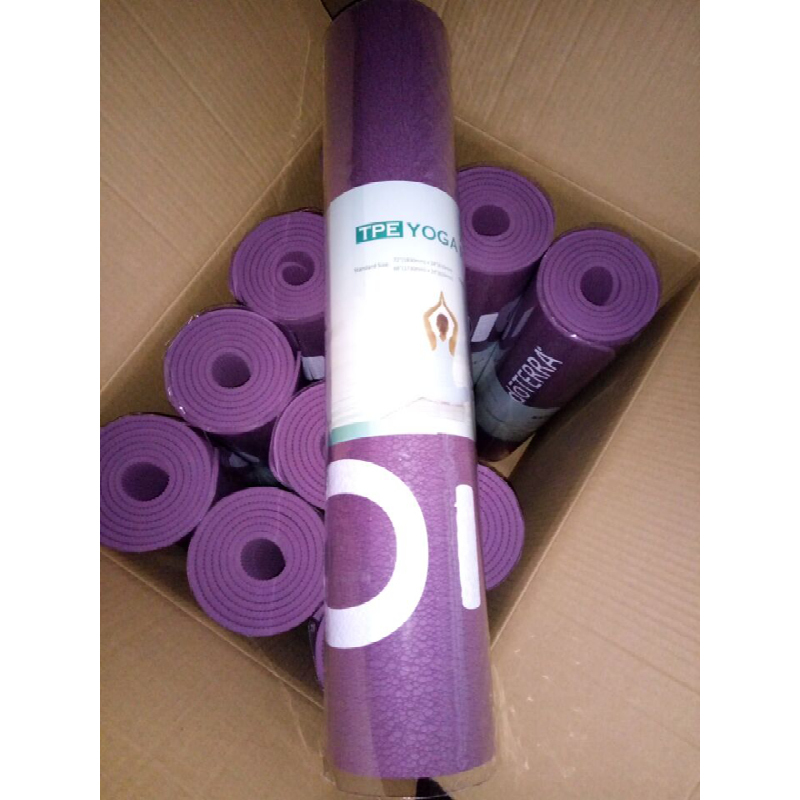 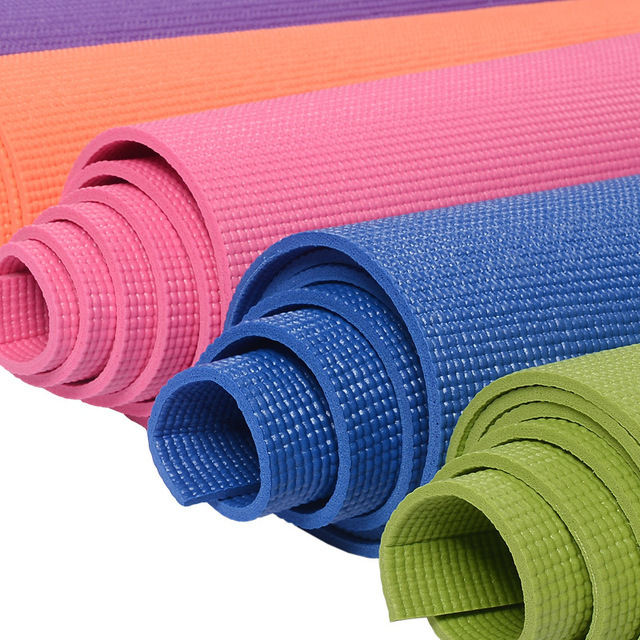 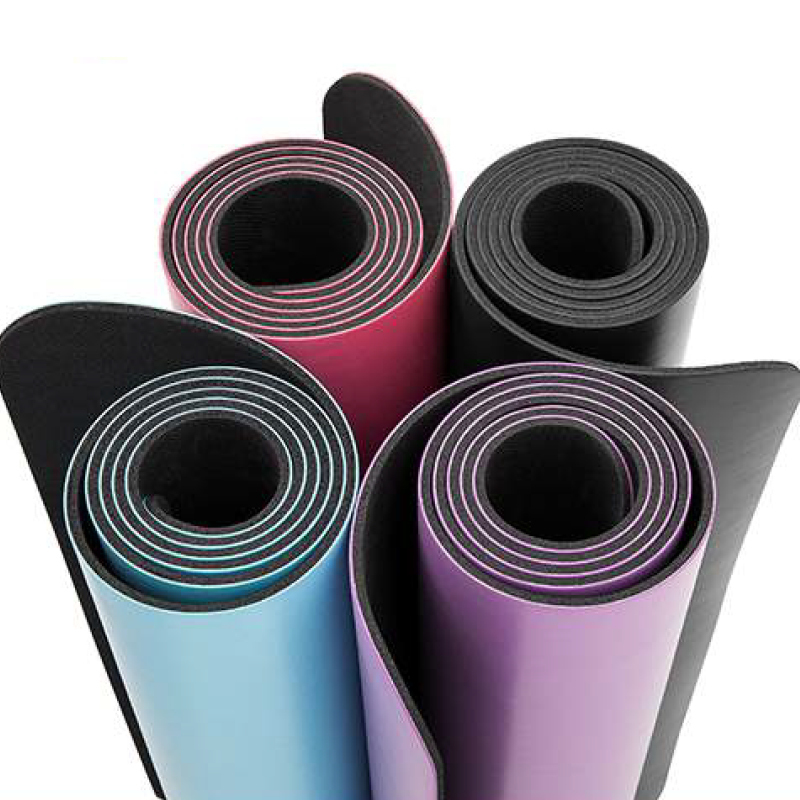 We work directly with factories overseas to design and manufacture custom yoga mats. 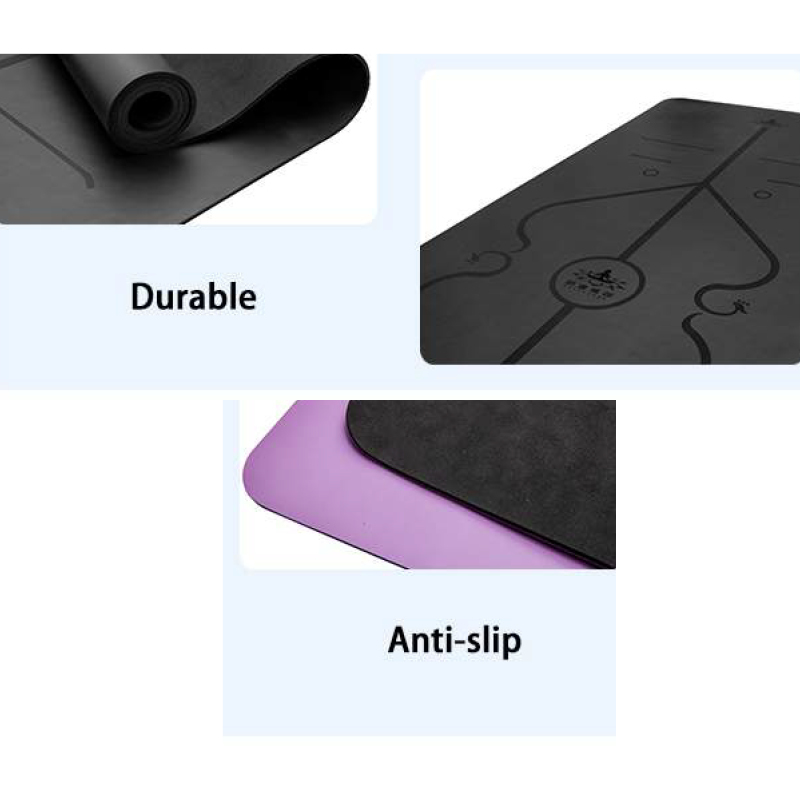 PVC, TPE, Natural Rubber and Suede coated mats are available, with a range of custom branding options. 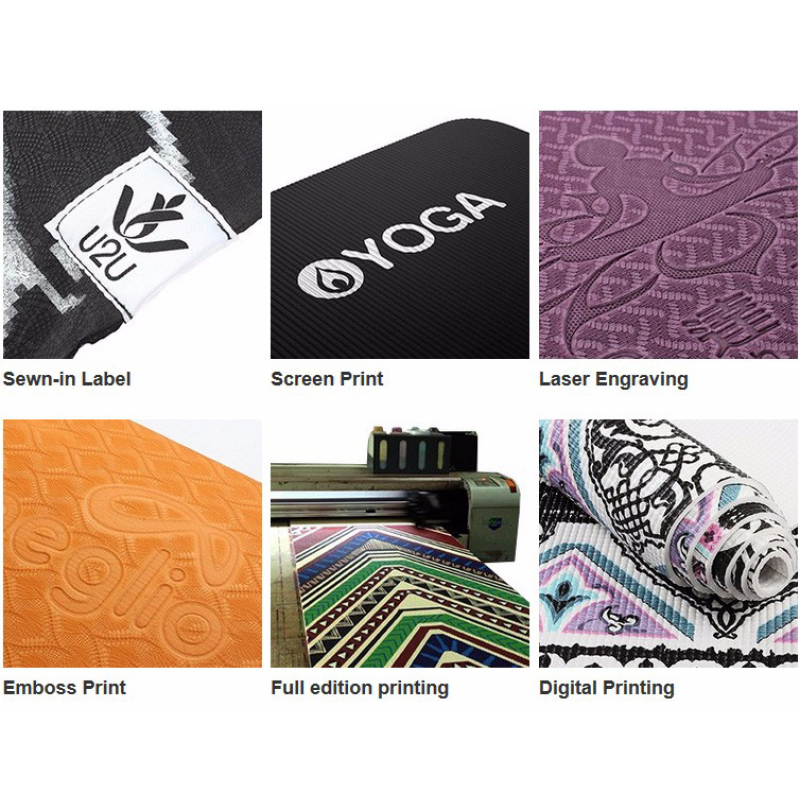 The minimum order requirements are shown below along with some rough prices but please email me today for a custom quote for your required mat type, printing and quantity. 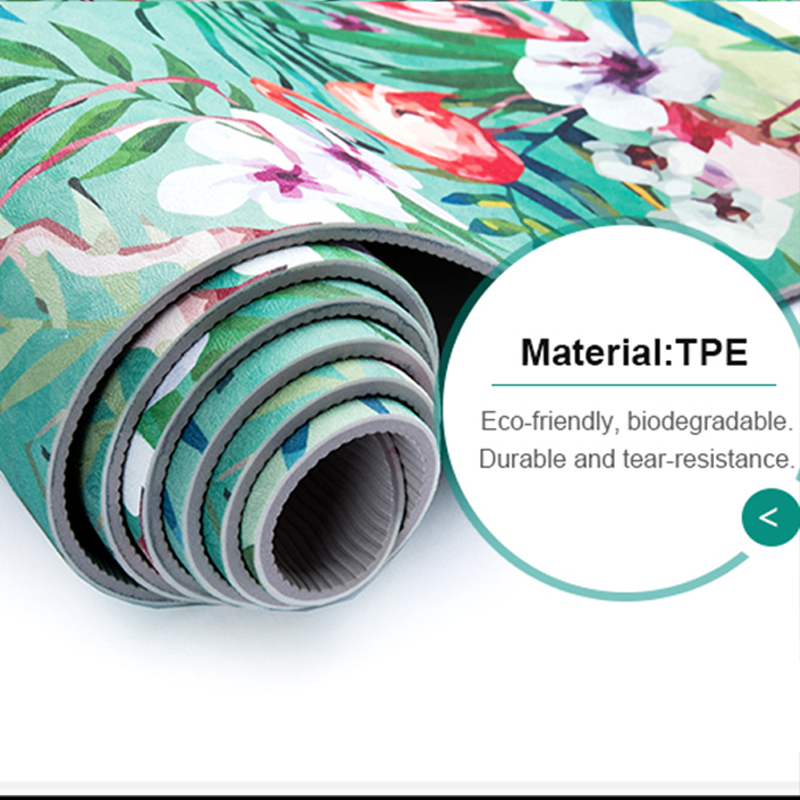 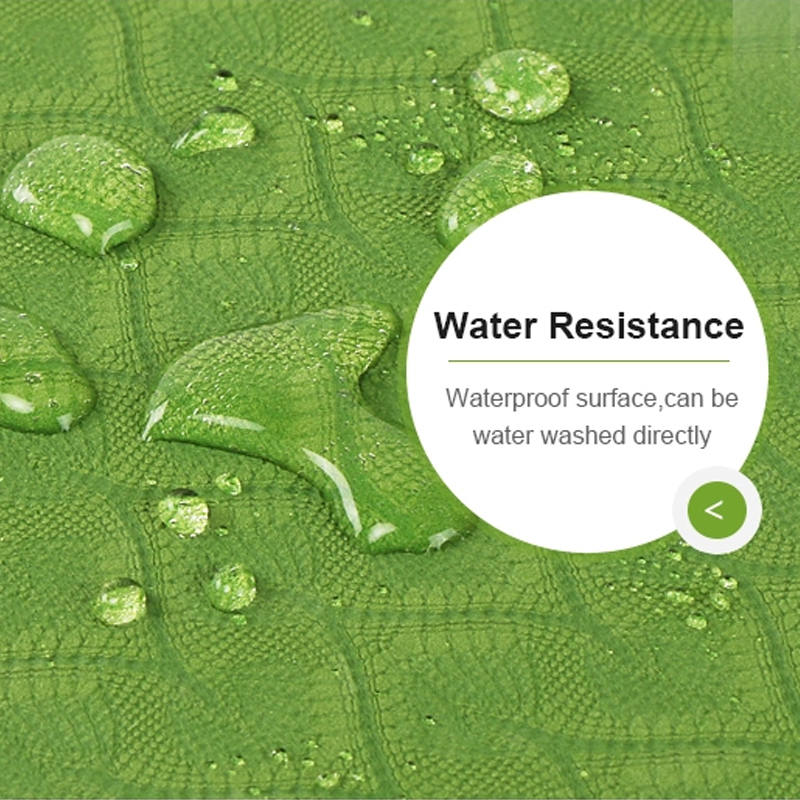 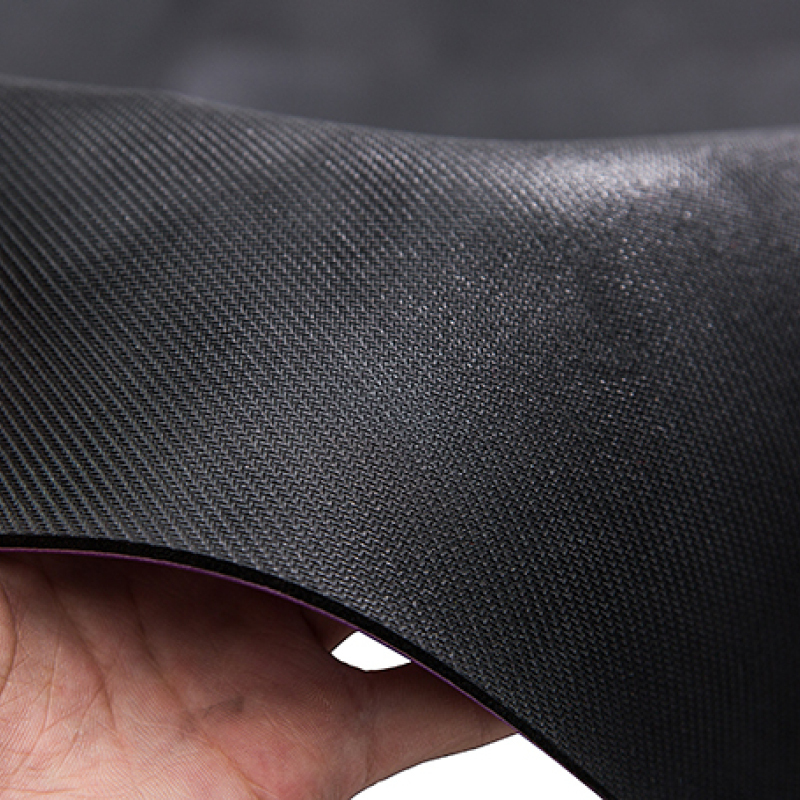 TPE (Thermoplastic elastomer) mats are more eco-friendly than PVC mats and are available in a variety of thicknesses. 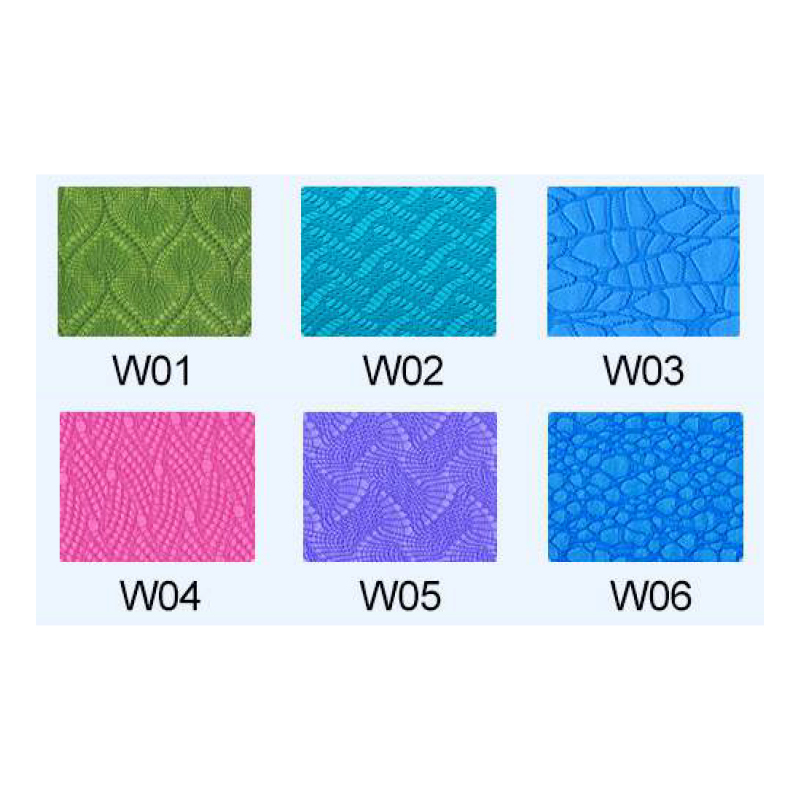 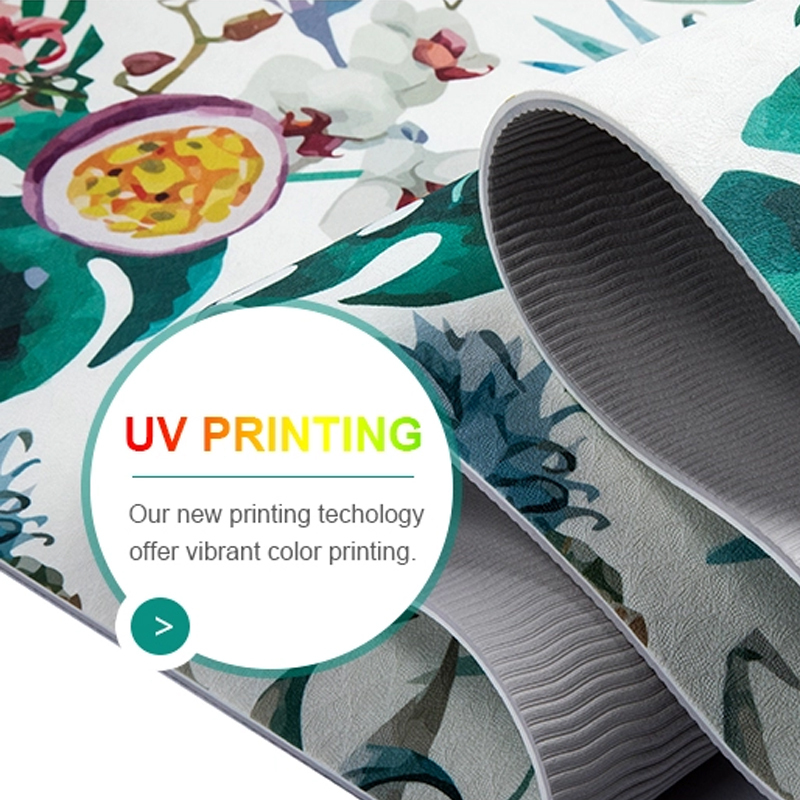 They can be manufactured with a single or double layer and there are numerous colours and patterns available to be pressed into the surface. 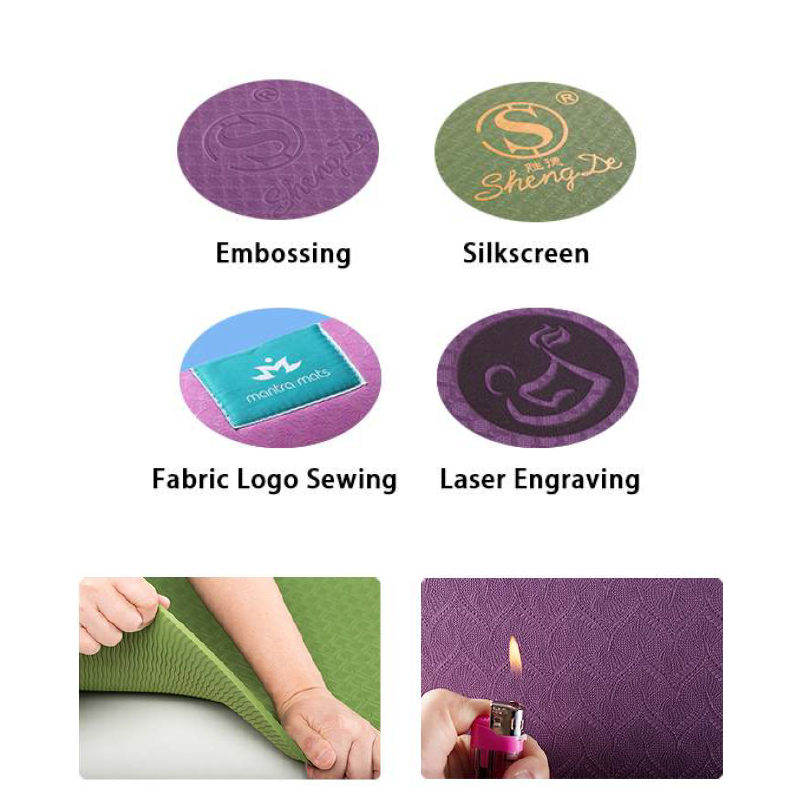 They can now also be fully printed on the surface as shown in some examples below. 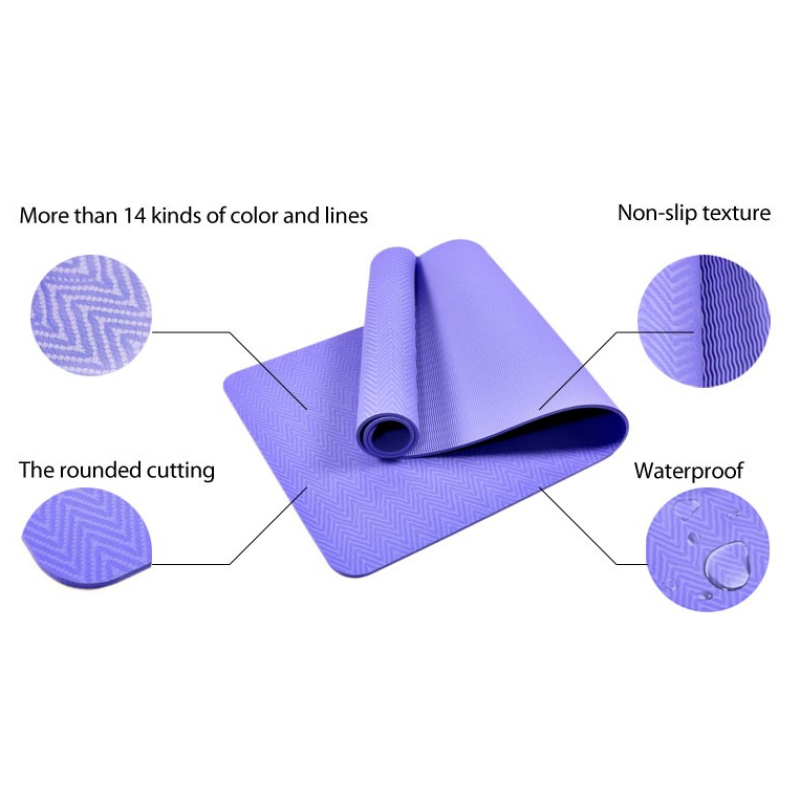 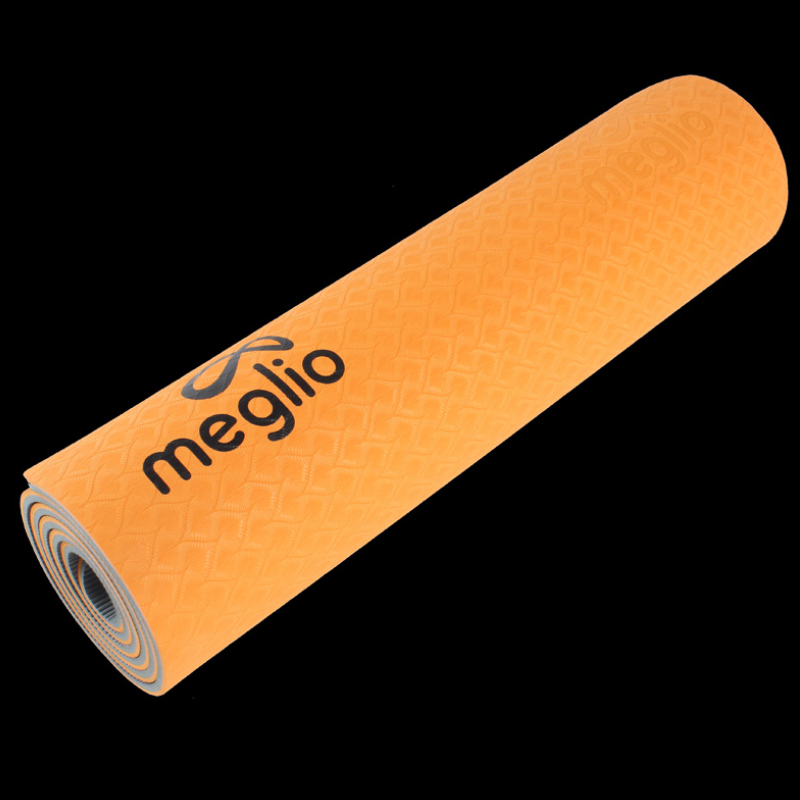 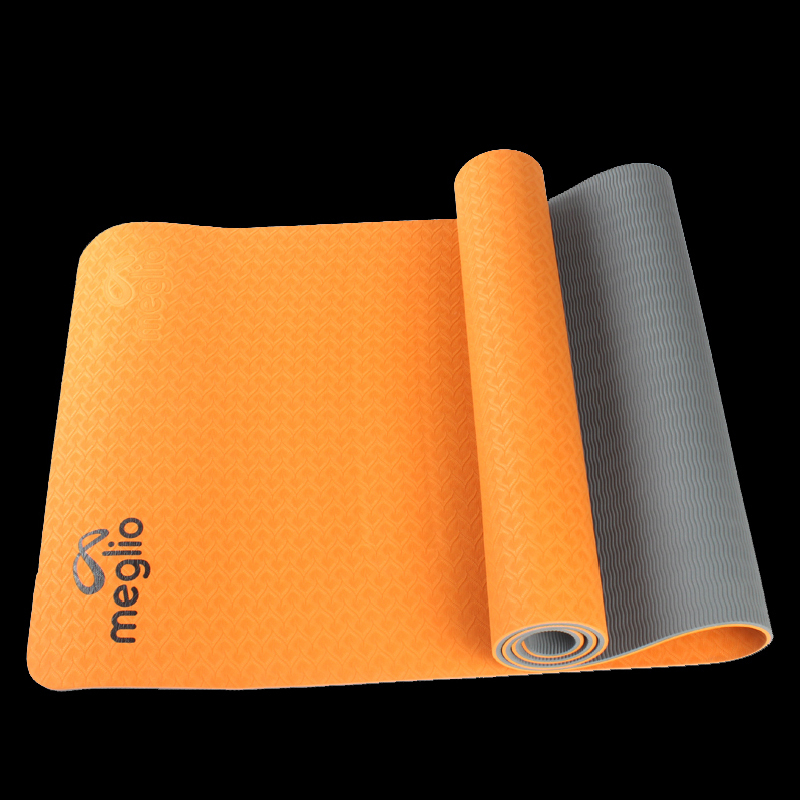 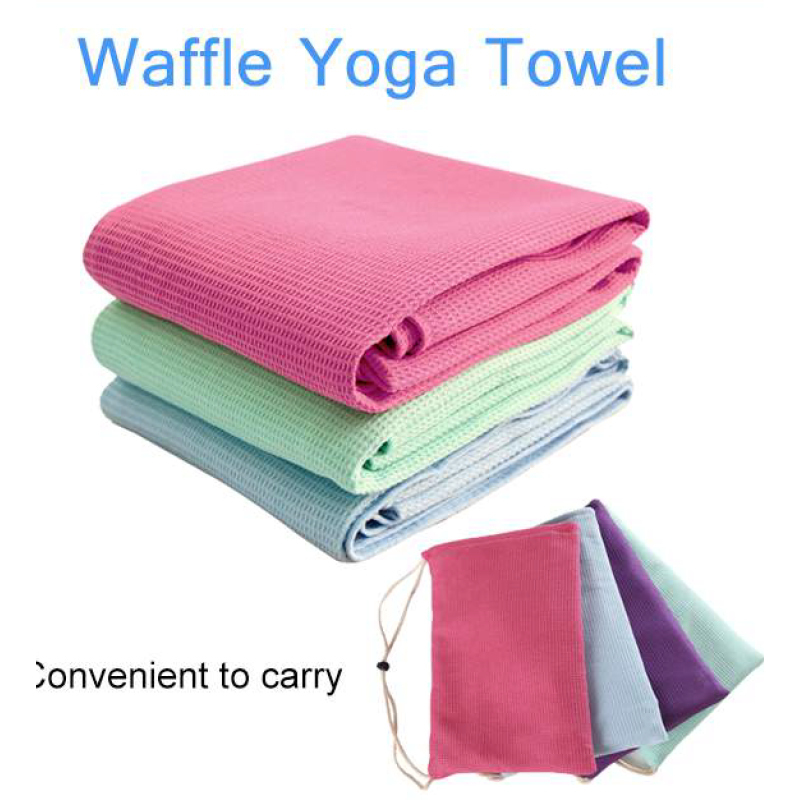 Lightweight and durable, they offer insulation from cool floors and can be rolled or folded for use in required poses. 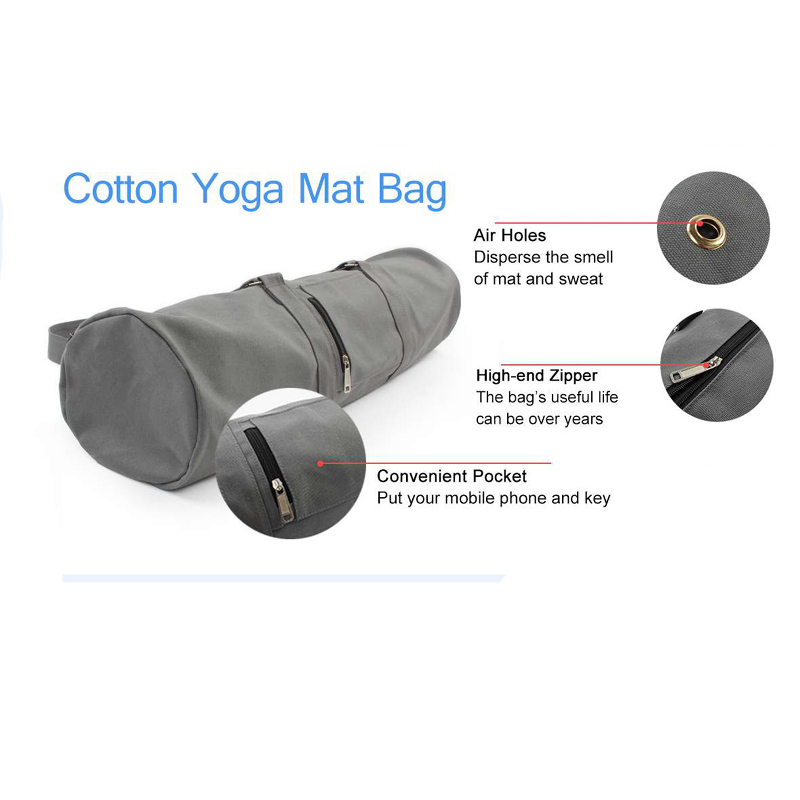 Also suitable for travelling (weighs only 1.2kg). 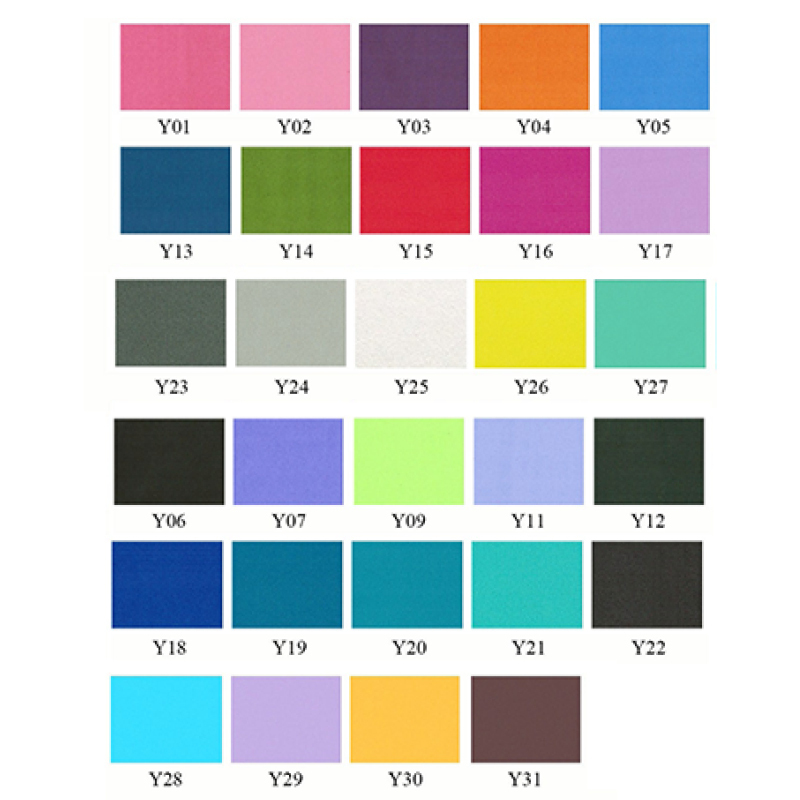 Pink, Purple, Red, Yellow, Grey. 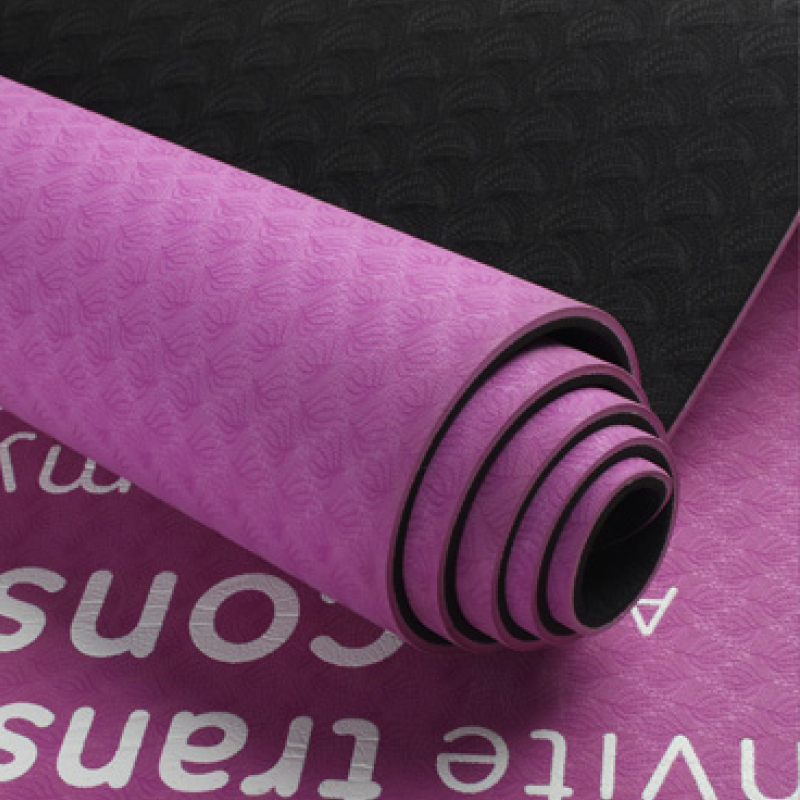 Logos are screen printed on and they haver the quickest turnaround in mats with a 3 week wait. 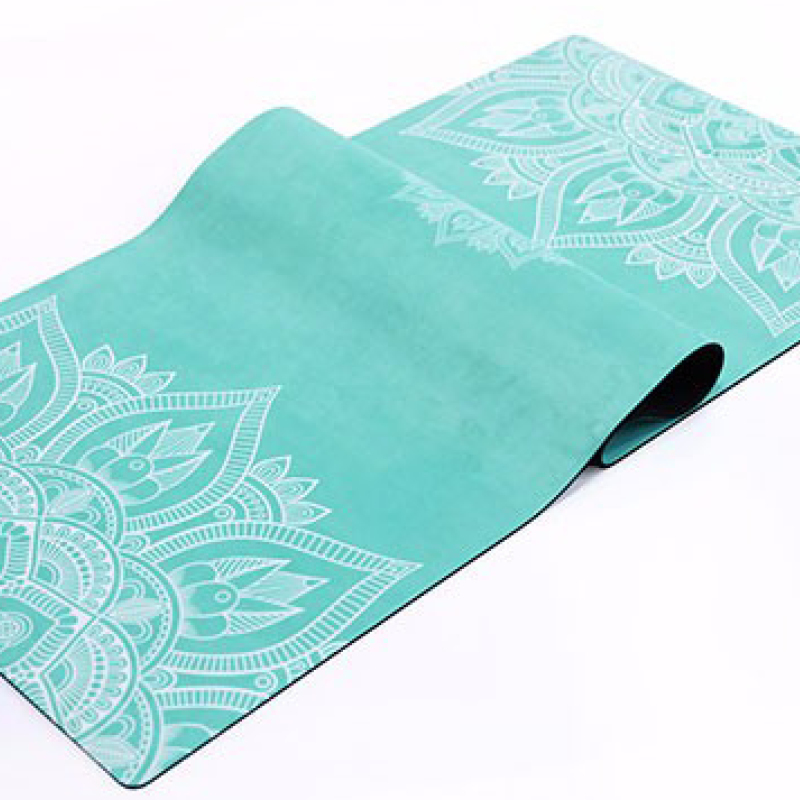 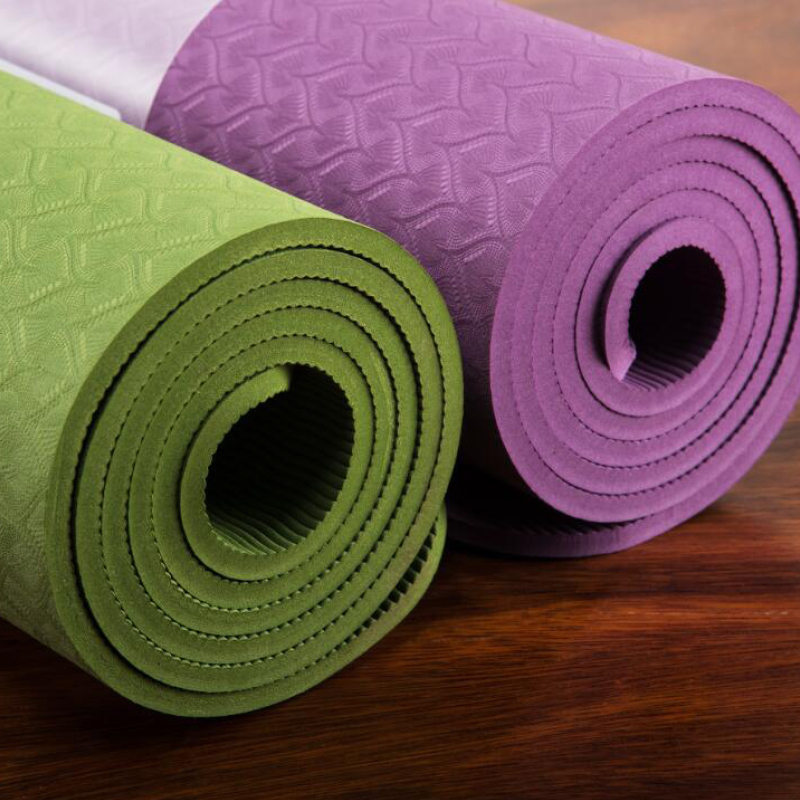 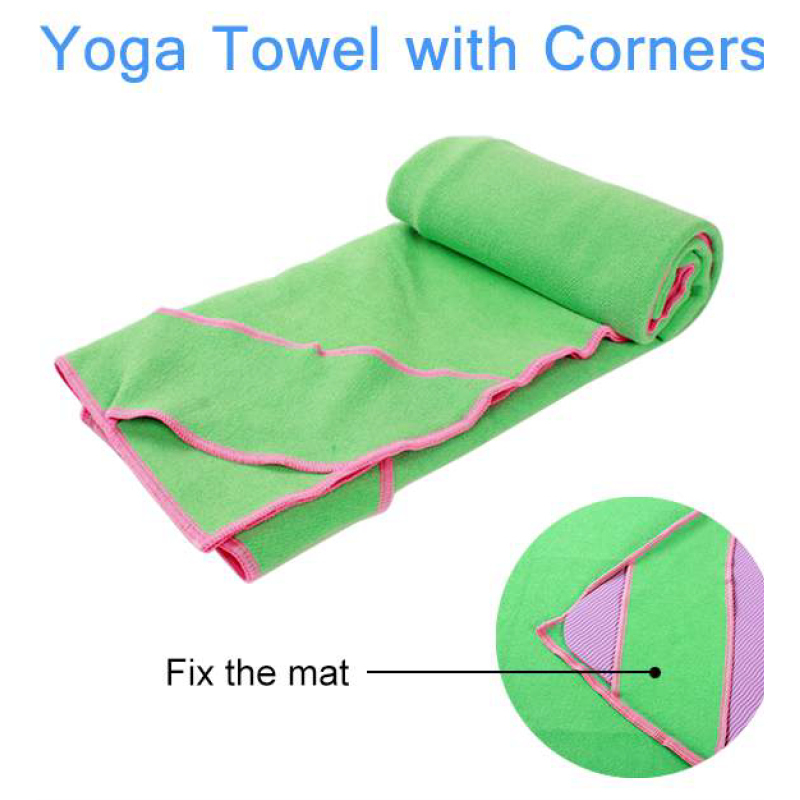 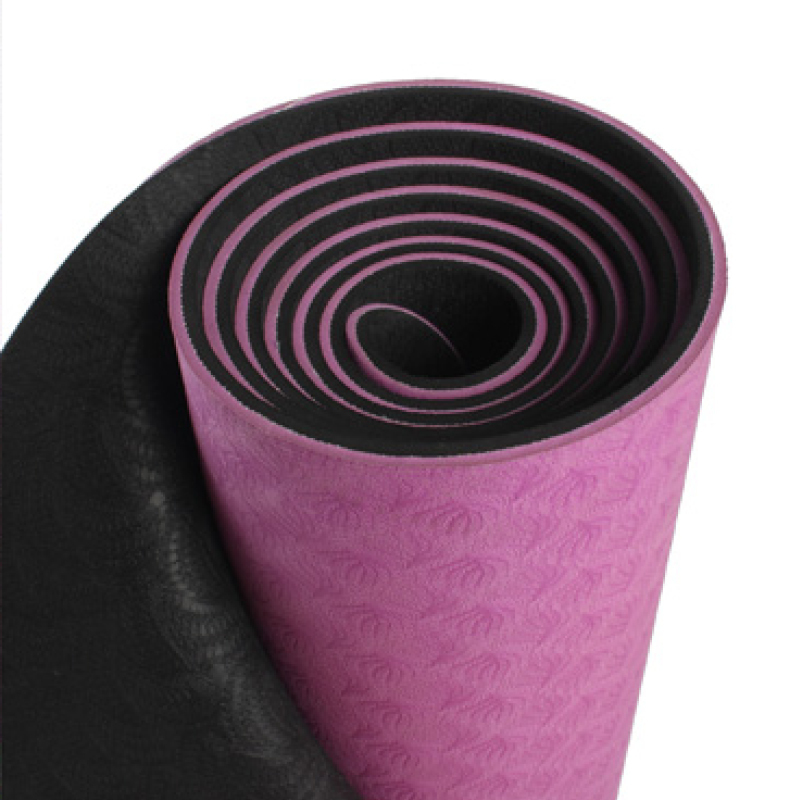 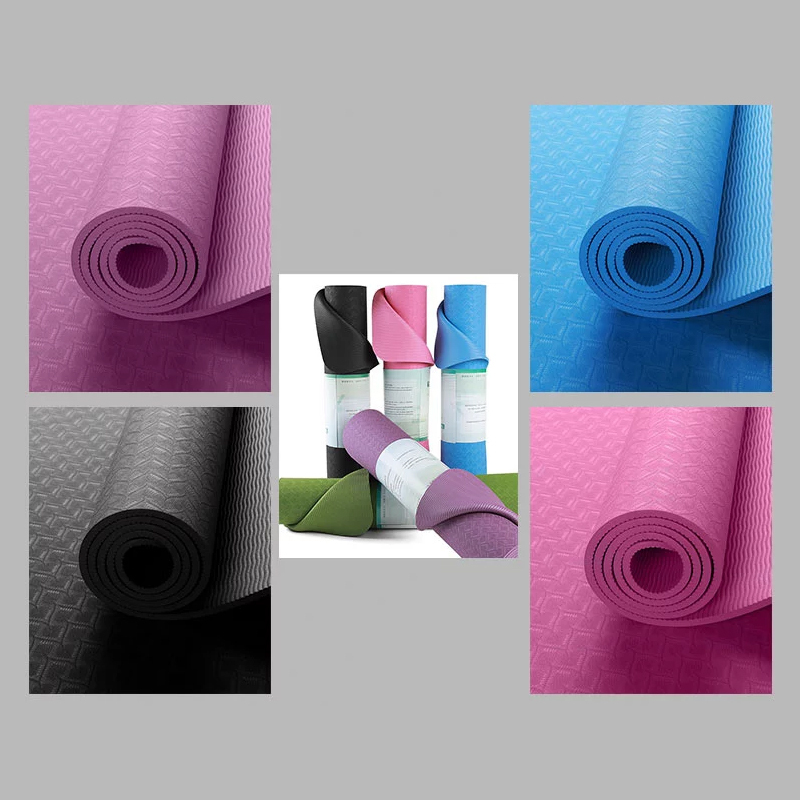 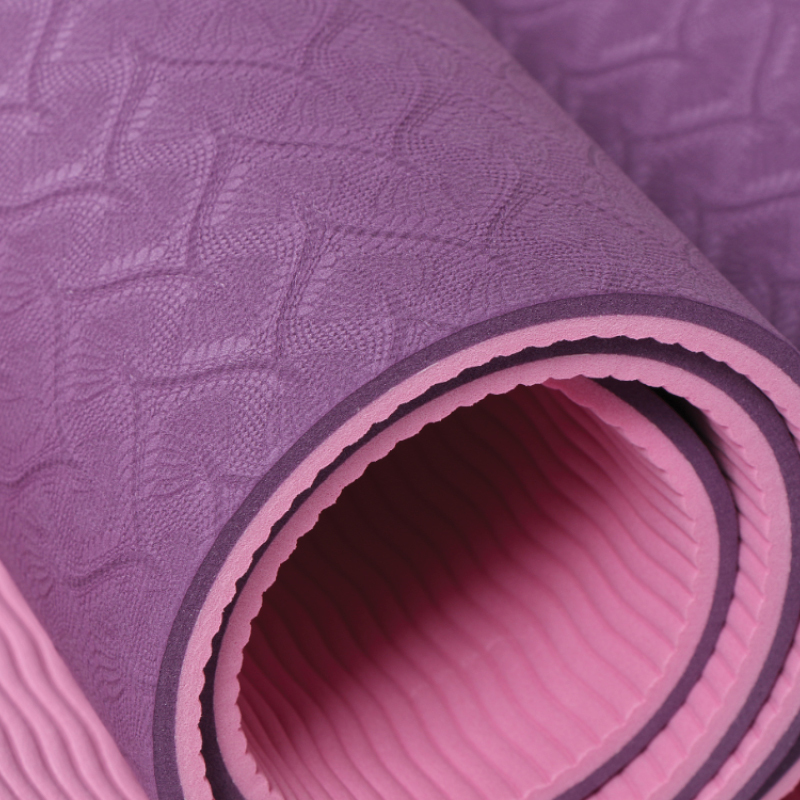 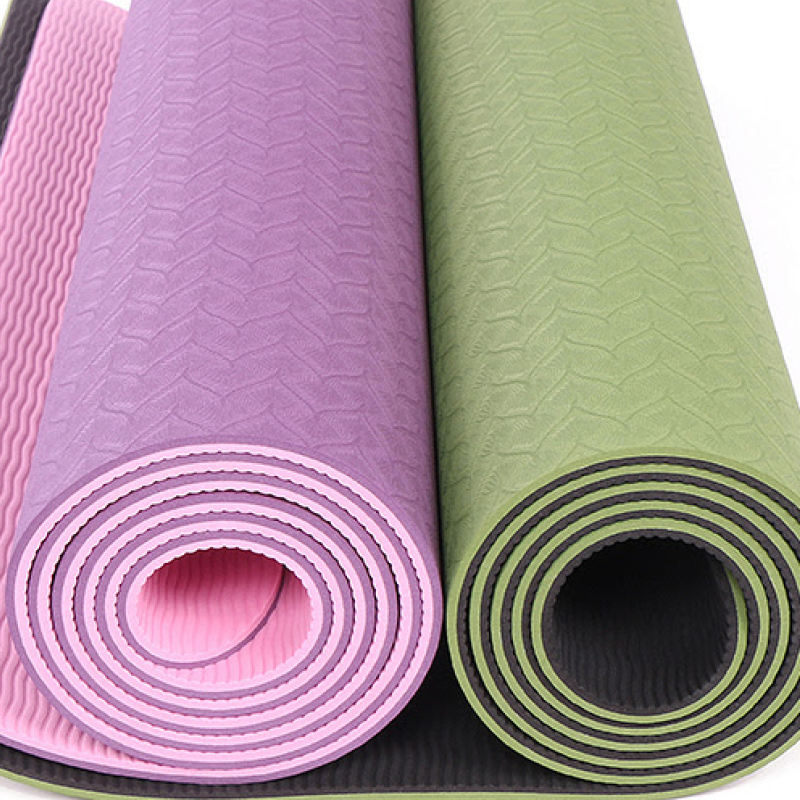 Suede surface yoga mats are available with either a TPE or natural rubber bottom. 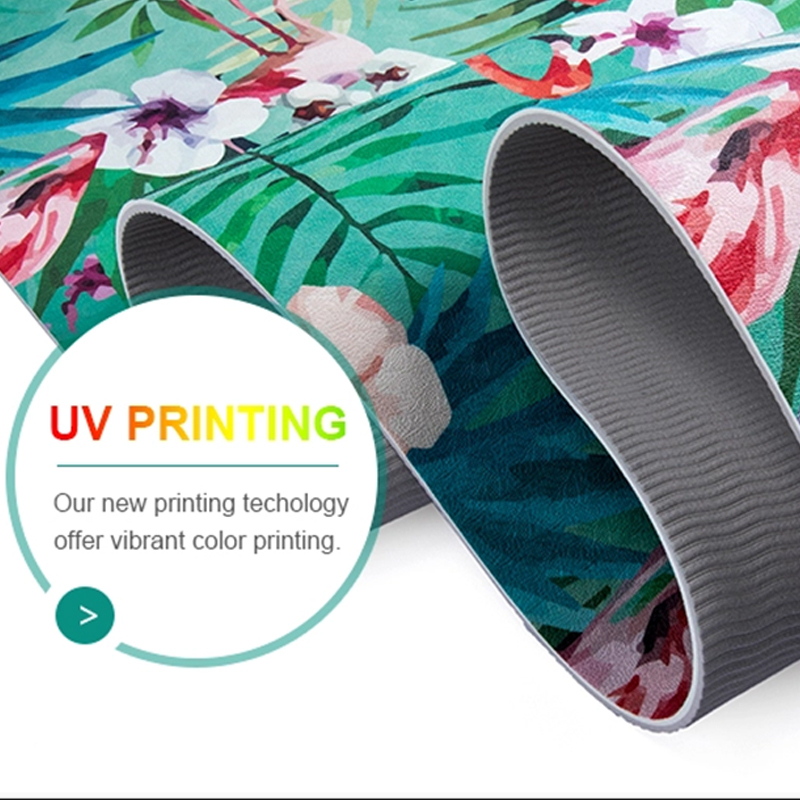 They have a soft surface and available to print full colour with fantastic results. 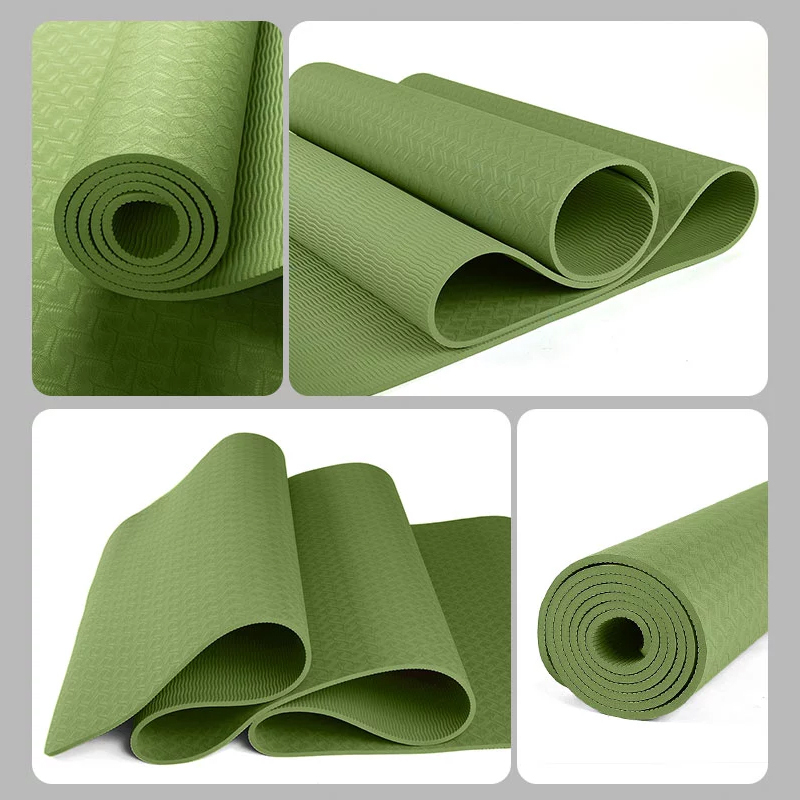 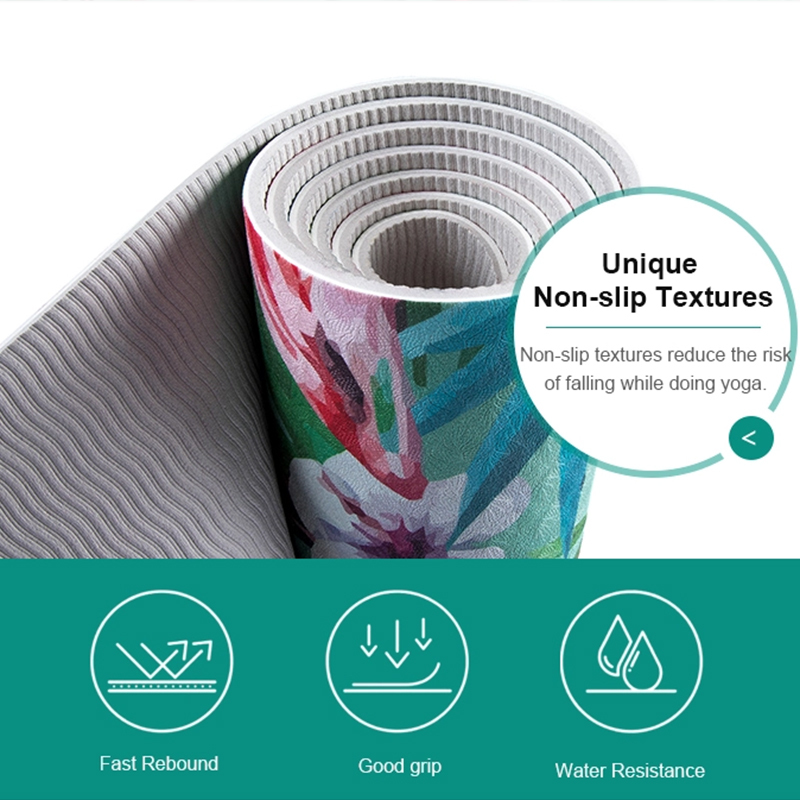 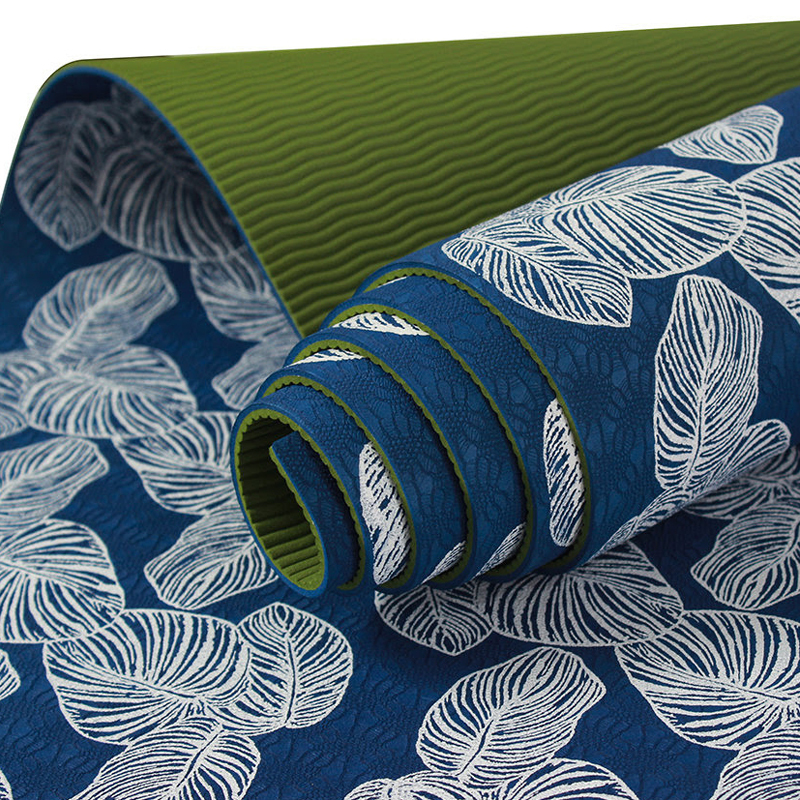 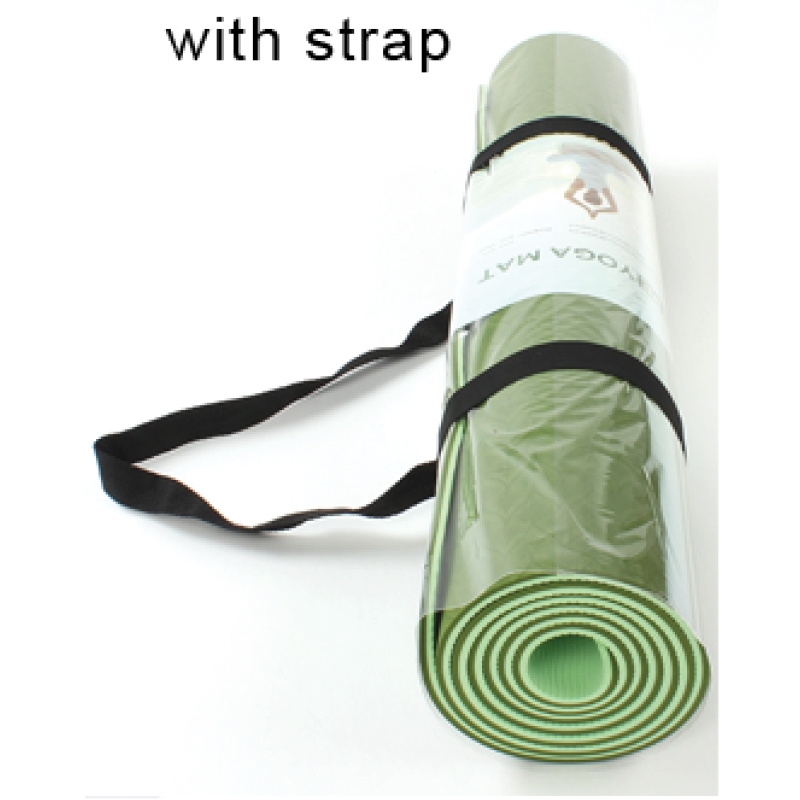 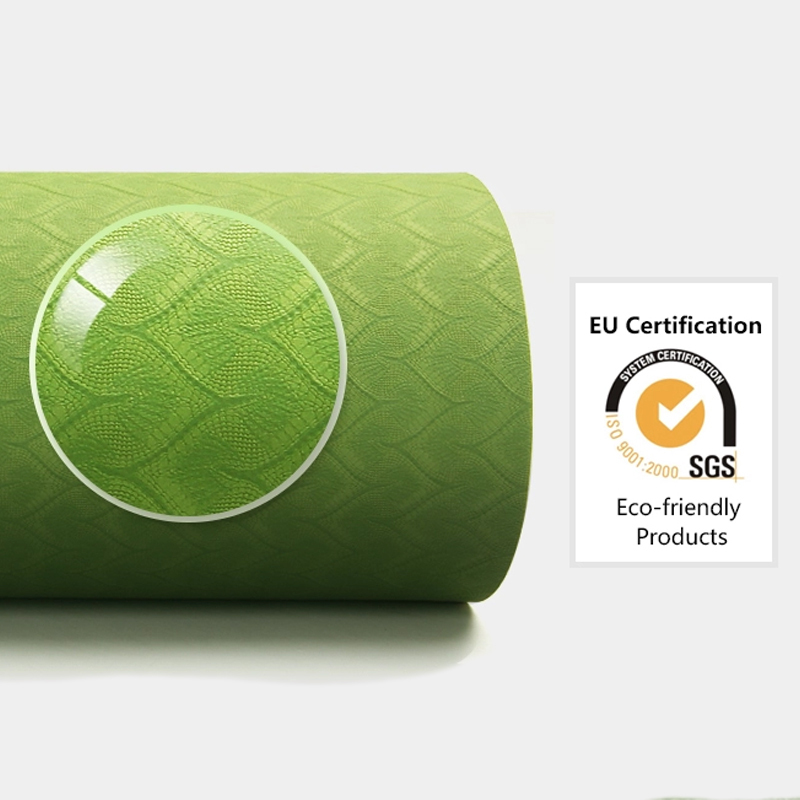 Natural yoga mats are biodegradable, recyclable and non-toxic. 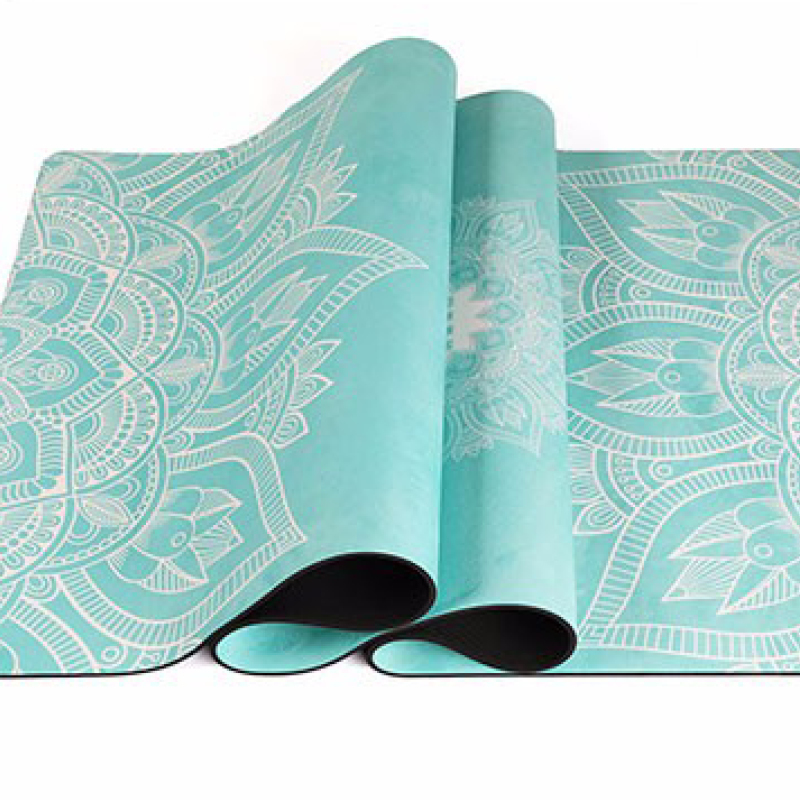 They are made from natural resin from rubber trees and is free of PVC and chemicals. 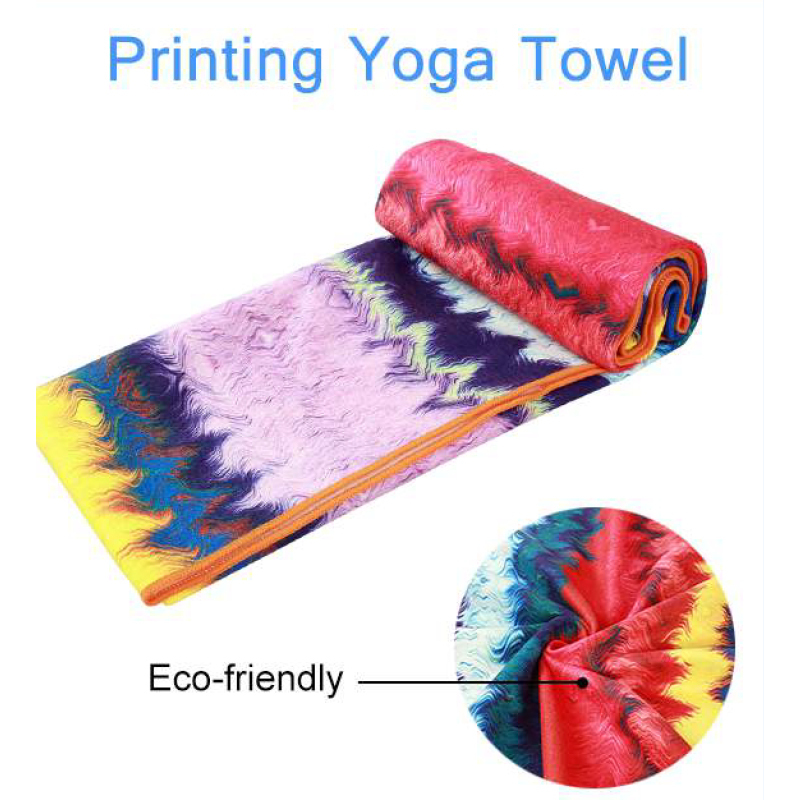 They are non-toxic and eco-friendly. 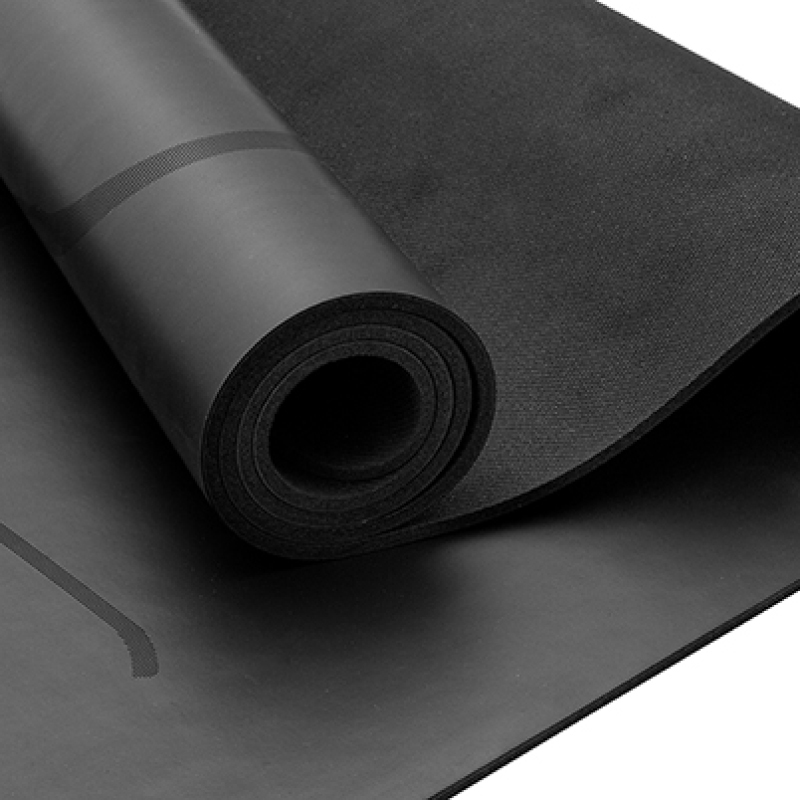 They are also a very heavy mat and as a result they are more expensive than PVC and TPE mats. 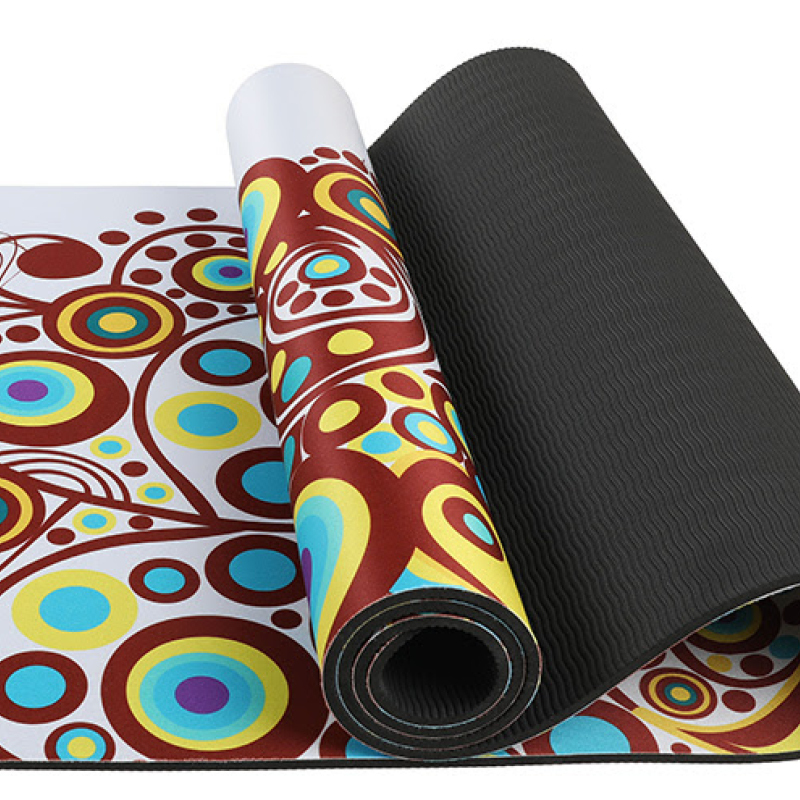 They are perfect when looking for a high quality and long lasting mat to customise. 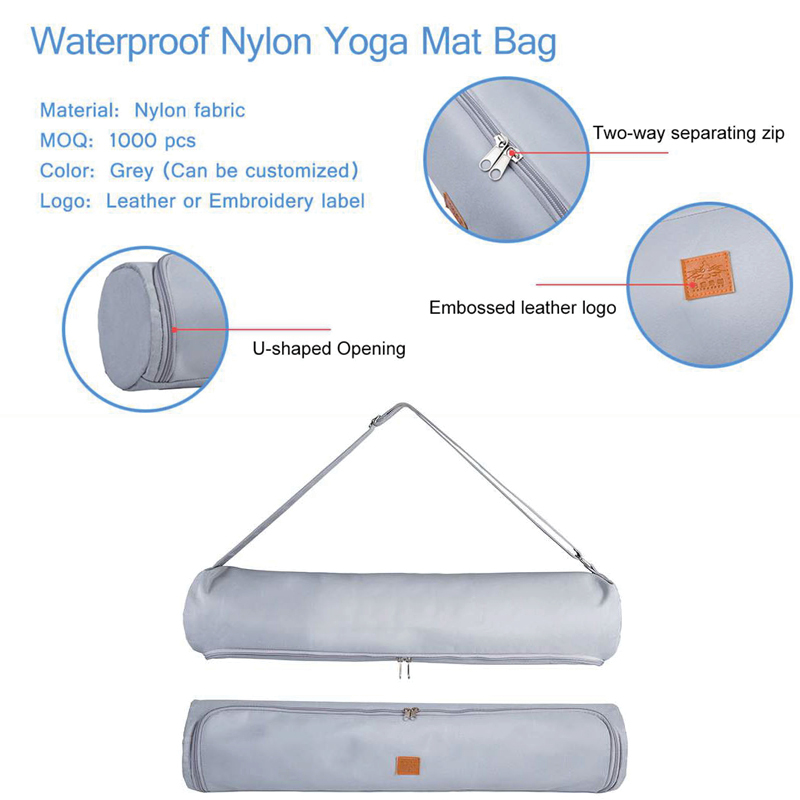 Larger quantities above 200 are required for these are they custom produced in China to yuour requirements.